and redeveloped with shops and housing. The 11 acre parcel land is directly across the street from Santana Row and currently holds three popular domed Century theaters and the Flames restaurant. 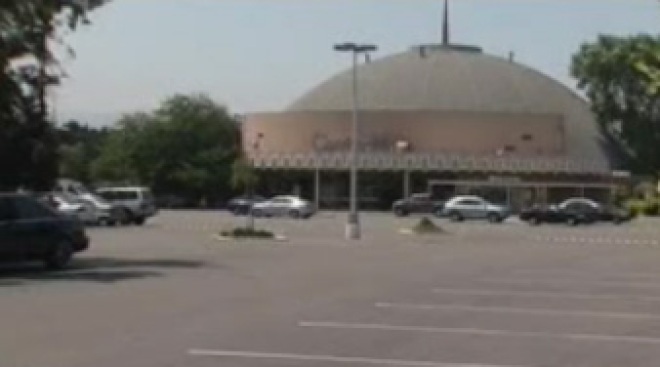 If the plan is approved, the theaters and the diner will be torn down. San Jose City Council Member Pete Constant says turning the land into mixed use development makes good economic sense, but some locals are worried about traffic. Traffic on Winchester Blvd. is already a mess from Interstate 280 to Valley Fair Shopping Center. The size of the lot is about the same size as Santana Row, so if it is approved the outdoor shopping mecca will basically be doubled. The Winchester Mystery House is also in the general area, but it is off limits. The mystery house is a city landmark and therefore protected. The map below shows the area. The green is the current Santana Row site. The yellow is the proposed site.